Welcome to the missionary South Africa connection - the blog connection. I would like to introduce you to one of the first families to be featured here, but first a little about South Africa itself. You can never forget where the country is, of course - the name says it all. The country is famous for its gold, platinum and other minerals, but there's also agriculture including corn, wheat, sugarcane and fruits and vegetables. Other industries include metalwork and machinery, including automobile assembly. The stock exchange is one of the world's 10 largest. Over 48 million people live in the country, but sadly the population is dropping due to the AIDs virus. Life expectancy is only 49 years. 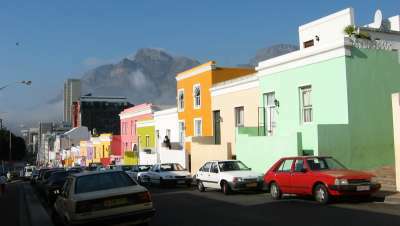 There are a number of languages that are widely spoken in South Africa, including IsiZulu, IsiXhosa, and Afrikaans. Our first missionary South Africa blog currently comes from the town of Macassar. Also one of the oldest blogs featured here, it was started in 2004. Visit Facing The Mountain now! Six years later, another blog was started - Nunleys in Africa! The tagline of their blog is training and discipling young Africans to become Godly servant leaders who can impact their communities for Christ. 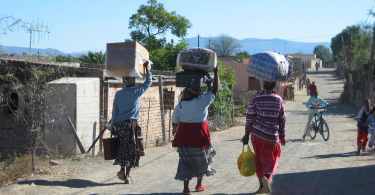 Next, you'll want to visit LERATO (love) for another missionary South Africa blog. The Smiths are working primarily to help children at risk in South Africa. Just a couple more - you'll want to check out McLane Minute and Verdugo's Ministry in South Africa. There are more - dig around the site to find them! South Africa's national flower, the Protea, has a bloom that can grow up to 1 foot or 30cm wide! Africaans is one of the world's youngest languages. In South Africa, the 26th of December is a holiday called the Day of Goodwill. South African meals usually include a lot of meat.